Ontime shipping, everything as I ordered. VERY slow delivery, very expensive items but they are of high quality and sure to hold up for years. Already gave someone the website when asked where I purchased my hat! Nice tie! I had to have sartorial services performed b/c my neck was at the limit of the tie's size. Not anyone's fault; I figured t hat would be necessary. The only issue is the shipping cost; but any time I order anything from any company, the shipping is always high, to be fair. The Western style holster fit exactly as it said it would after following the guide for proper fit. It is constructed so strong that it would stand up to Military abuse. My revolver fits in it so well, that I'd swear it was custom fitted especially for me. I was given choices of how I wanted it to be delivered and received it exactly as I was told. I find this survey a huge PLUS for commenting on such a GREAT company and also my extreme satisfaction. Thank you, Western Emporium for such fine line of products. Very fast shipping. Item I purchased was just as discribed. Price was much cheaper than other sites, and shipping was very fast. Thanks! Selected Gentlemen's Emporium because of the good prices and was blown away by the quality of the frock coat, vest and pants that arrived. I found that the waist of the pants runs smaller than modern store bought and had to return them for a larder size. Received excellent customer service on the phone and the return was a breeze. Per the recommendation in the returns section of the website, I ordered the larger pants and then returned the original pants for a refund, cutting the turnaround time in half. Great service and great quality! The clothes all look extremely authentic. The material and construction look good. One shirt I ordered had star shaped buttons which I didn't notice in the photos on the website. They don't look bad but I might have opted for a more traditional look if I'd known. Perhaps the website photos should include a closeup of special features such bottons or stitching. Flawless experience, really. Got exactly what I wanted in packaging that protected the somewhat fragile product several days earlier than promised. I would have no reservations w hatsoever about ordering from this company again. Great shirt! I was very pleased with the product, customer support and speed of delivery. As always items arrived fast and exactly as ordered GE is a great company to buy from. I was late ordering for an upcoming dar event. Historical emporium saved the day. And love my items! The only issue I didn't care for and have never had to deal with was the credit card. Because my mailing ad dress was different than my shipping ad dress which is not uncommon in business the procedure to prove the fact with a .66 cent charge, wait, then the balance, then the .66 charge reversal. I've just never had to go through this yet I buy all the time on line and ship to a different ad dress than where my credit card is billed to. It seems a very convoluted way to do business. 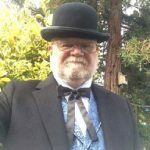 We had an excellent experience getting steampunk costumes from the SteampunkEmporium.com storefront. Even when the slightest little thing went wrong they ad dressed it quickly and completely. Again, the garment was delivered in at timely manner and was the high quality I have come to enjoy from 'Historical Emporium'. I was able to wear my coat straight from the box. A pleasure to wear, and I love the constant positive comments I get when I wear your products. I have shopped with the gentlemansemporium several times now and have NEVER been disappointed with any aspect of produce or service. I would HIGHLY recommend them! We ordered shirts and vests for the men in our wedding party...We renewed our vows in St. Lucia and everyone at the resort was totally impressed with the outfits the guys wore!! Very good quality... we will definitely recommend you! Excellent customer service!! Thorough credit card security, great order status updates and tracking. Prompt shipping and everything exactly as described. Most informative website! I am a historical reenactor and the quality of your hats is A One.